Android Authority is running another Sunday giveaway to gift one of their fans with a brand new Android smartphone! To enter in this Google Pixel 3 Smartphone Giveaway grab your free entries by following few simple steps listed down below! The Pixel 3 and Pixel 3 XL come in three colors: ‘Just Black’ (all black), ‘Clearly White’ (white with a mint green power button), and ‘Not Pink’ (pink, with an orange power button). The Pixel 3’s bezels are reduced greatly from the Pixel 2, which was criticized for its large bezels. However, the Pixel 3 XL has a large notch on its display. 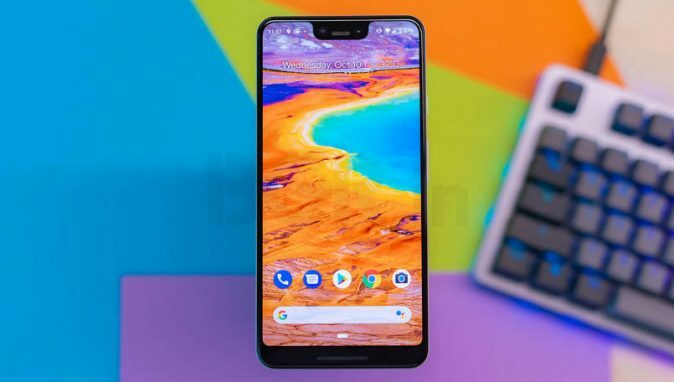 This notch was heavily mocked by online users for its large size while still having a large bottom bezel. The notch can be blacked out in developer options. The Pixel 3 and Pixel 3 XL come with a Snapdragon 845 and 4 GB of RAM; and 64 or 128 GB of internal storage. Both phones feature glass backs and wireless charging, which are firsts for the Pixel range. Google Pixel Stand can wirelessly charge at 10W, but wireless charging is capped to 5W when 3rd party wireless chargers are used. They also feature front-facing stereo speakers and no headphone jack, like the Pixel 2 and Pixel 2 XL. Both phones also use a USB-C connection for charging and connecting other accessories. Both phones also contain Active Edge, where squeezing the sides of the phone activates Google Assistant, which debuted with the Pixel 2 and Pixel 2 XL. Winner will be contacted by email shortly after giveaway ends. The winner has to reply back within a specified period of time to claim the prize.